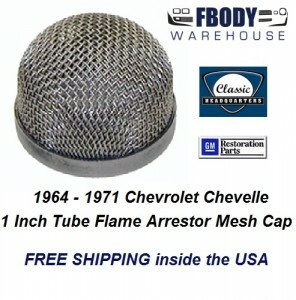 For use on 1964 --1971 Chevelle models. 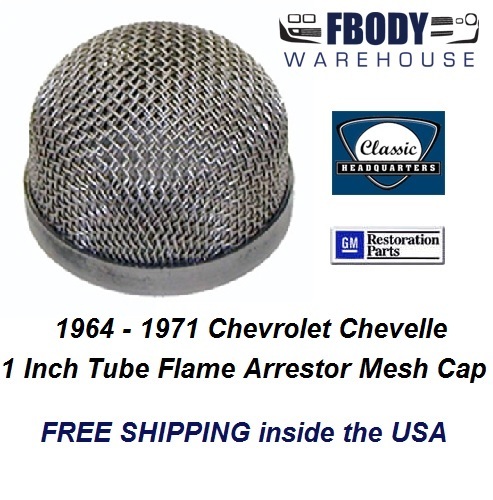 Superior reproduction of original air cleaner breather tube spark arrestor. Fits all one inch breather tubes.